Containing the Notre-Dame Cathedral conflagration in Paris was a heroic effort by dozens of people. 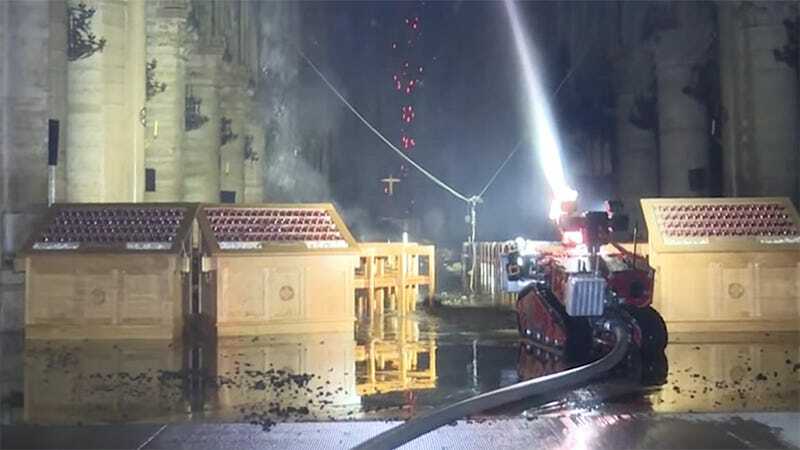 While invaluable parts of the 856-year-old cathedral were destroyed yesterday, it was thankfully not a complete loss, and something of a miracle nobody died. Part of the credit goes to Colossus—an 1,100-pound remote-controlled firefighting robot employed by the Paris Firefighter Brigade.